Come and enjoy a fabulous meal at Bushwakker Brewpub along with others who support children’s reading and great Canadian literature! **If the event sells out, Bushwakker Brewpub will donate a keg. Your ticket purchase gives you 1 chance to win the keg! For a donation of at least $10.00 to The Willow Awards, the donor will be able to choose a selection of children’s and young adult books. Cash preferred. 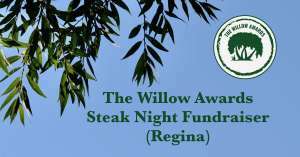 Cheques can be made out to SYRCA – The Willow Awards. If you are unable to attend, please consider making a donation at willowards.ca/donations or to the contacts above.